Makes learning words fun for kids. Is there a better alternative to Playwords? Is Playwords really the best app in Language category? Will Playwords work good on macOS 10.13.4? Playwords makes learning words fun for kids. With 3 great games, Playwords is challenging for children just beginning to read or starting to spell. Beautifully illustrated with over 300 original, hand-drawn pictures and professionally narrated by a clear, lively voice, the games are both entertaining and educational. Easy for kids to use by themselves, Playwords is fun alone or with Mom and Dad. Picture Blast: a flash-cards game that lets kids see the picture, read the word and hear the answer. Almost 40 new hand-drawn pictures and words. The app now has over 350 words! 16 fun reward stickers and stamps to collect. Get 5 right answers in a row to get a sticker! 3 difficulty levels. Choose a suitable difficulty level for your child so they don't get asked words that are too hard (or too easy). Playwords needs a review. Be the first to review this app and get the discussion started! Playwords needs a rating. Be the first to rate this app and get the discussion started! 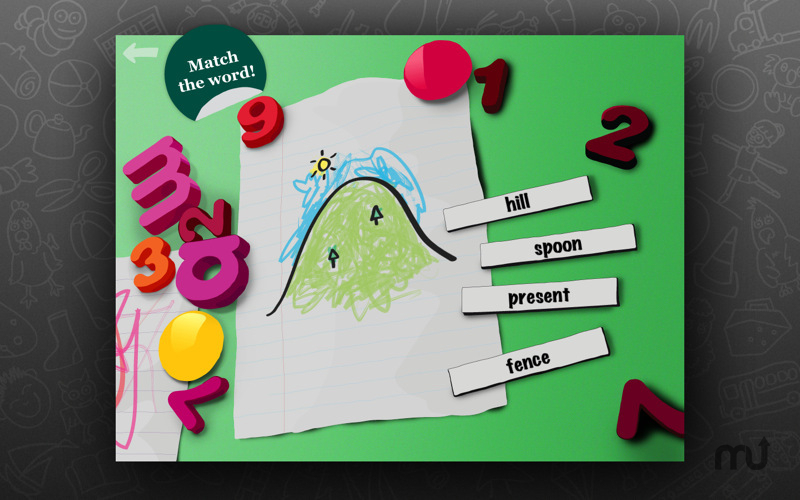 Word Match: a multiple-choice game that challenges kids to click the word matching the picture. Lost Letter: a spelling game that asks kids to fill in the missing letter in a word. Over 300 simple English words. 3 great games of varying difficulty. Bright, colorful illustrations that your child will love. Fun, lively and clear narration of all words. Automatically uses US English or UK English spelling based on your region. For example: "gray" / "grey" or "pajamas" / "pyjamas". Play full-screen or in a window. Re-recorded the narration for a few words, including "book", "hill" and "shop" to make the pronunciation even clearer.